My clever sister-in-law, Lilia, came up with this great idea to make nightgowns for our little girls out of adult size t-shirts. 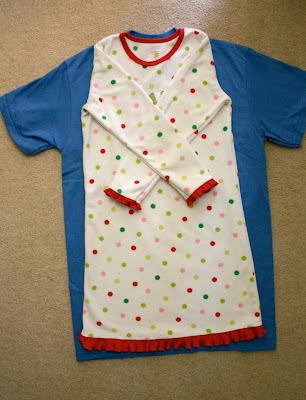 So using t-shirts from your donate pile or ones that you've picked up from the thrift store, you can make some easy breezy night shirts for your little ones that are adorable & cost next to nothing. Plus it's eco friendly as you are giving something headed for the trash a whole new life & a whole new use. I picked up this Bruce Woodbury t-shirt at Goodwill this weekend for .75 cents. I think it's awesome & hilarious because when I was a little girl we had a bunch of t-shirts from this local politician that we wore for pajama shirts. Remember that, my sisters? 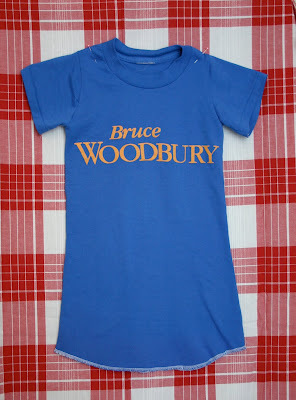 Anyway, start with an adult size t-shirt. A size small works really well because the neck hole is smaller. Using the nightgown as a pattern, cut up the sides and around the arm hole openings. 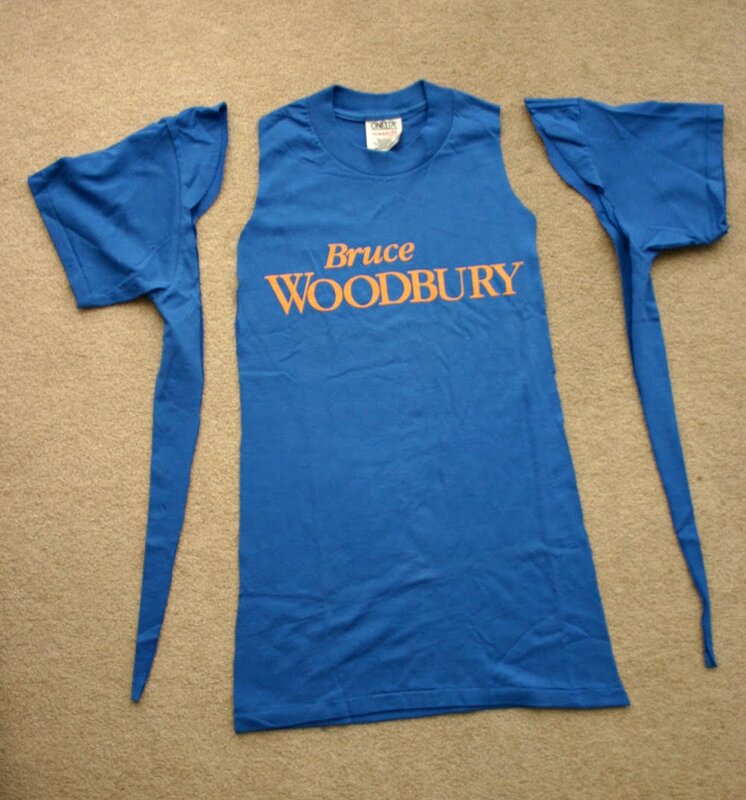 Now you'll need to cut smaller sleeves out of the original t-shirt sleeves. We just free handed this. Cut a shape like shown below. Just make sure the sleeve looks like it will fit the size of the arm hole plus 1/4 inch for the seam allowance at the underarm of the sleeve. 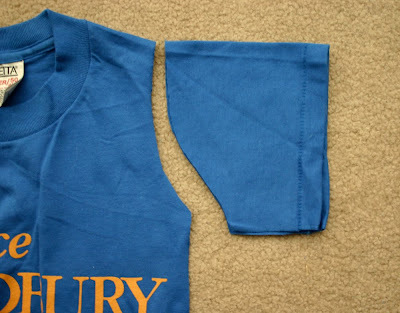 Next, with right sides together, sew the bottom of sleeves together & the sides of the t-shirt body together. Use a serger if you have one. 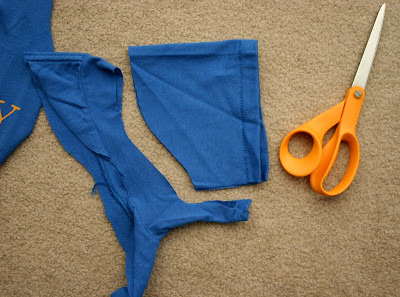 Or check out this video on how to sew stretch fabrics without a serger. Okay. 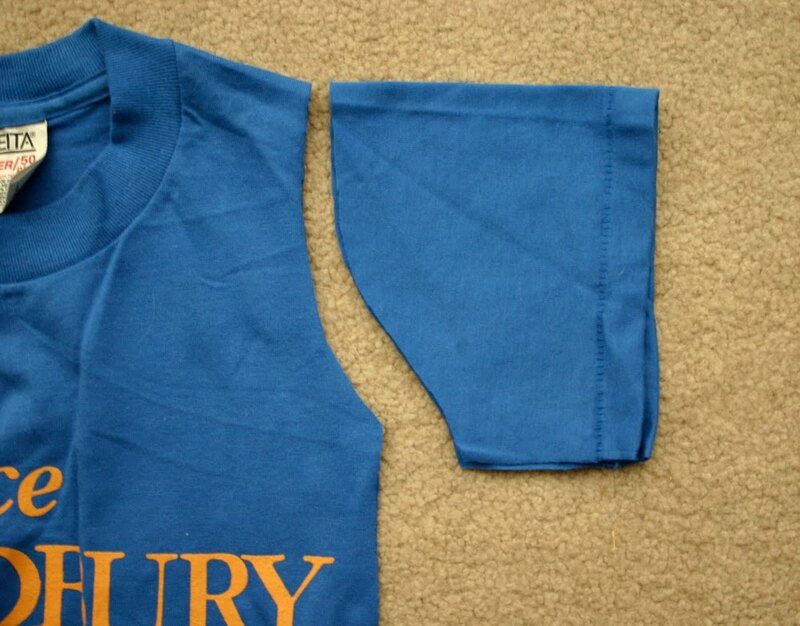 Now turn the sleeves right side out & insert them into the arm hole opening this way. Pin it in place. Then take it to the serger or sewing machine & stitch into place, removing the pins as you go along. Here are some others that I've made. They're not all perfect, but they look adorable on the little girls. They are light & perfect for summer. Not to mention super cheap to make & great for the environment! Sooooooo cute and simple! I'm gonna have to raid the hubby's old shirts! 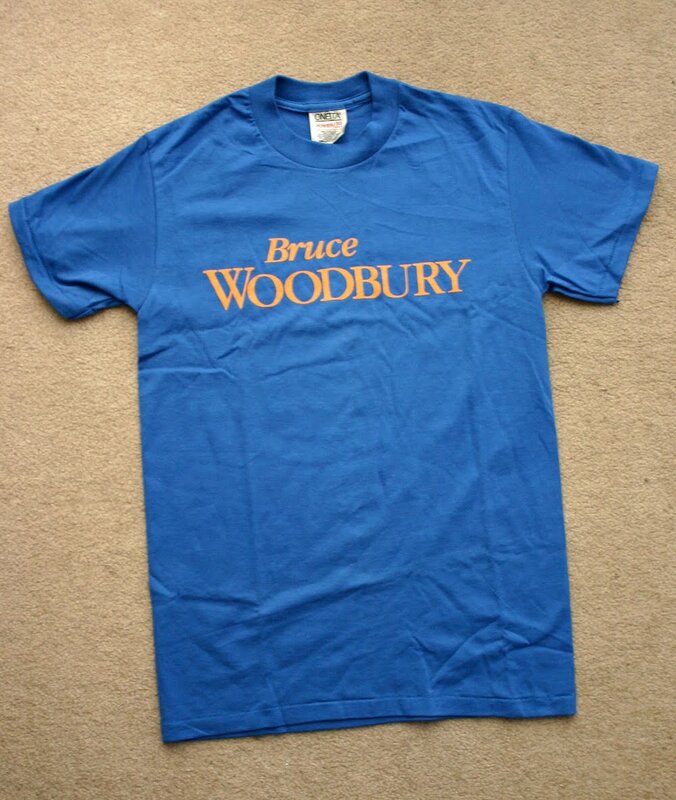 bruce woodbury!!... brings back lots of memories!! Love it! 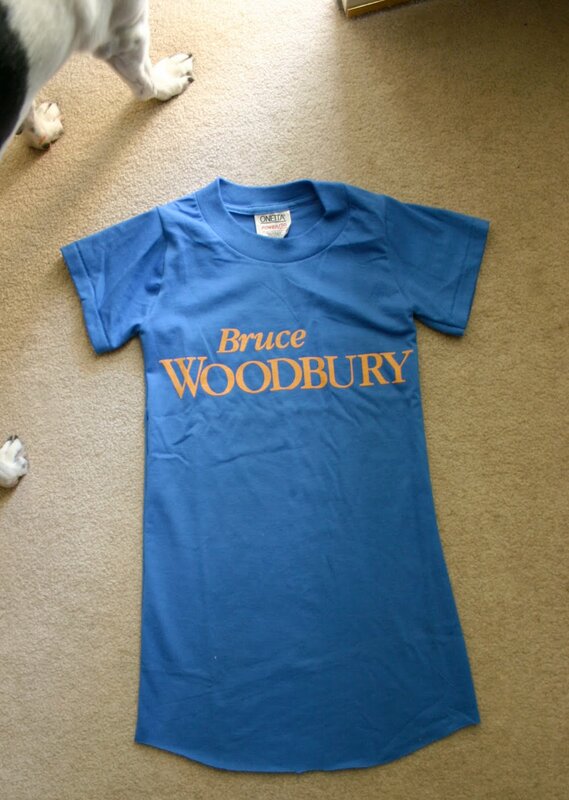 I actually just made my girl a nightgown out of an old shirt of mine. It's a little ghetto because it was a tank top and I had to deal with shortening the straps but it's only a nightgown so it doesn't matter how ghetto it it, hah! oh my goodness this is WAY cool! now i want a serger. cute stuff! growing up we all slept in big tshirts anyway! This is awesome Candace, I love it! My 5 year old refuses to wear nightgowns right now but hopefully she gets past this phase and I can make her some of these! 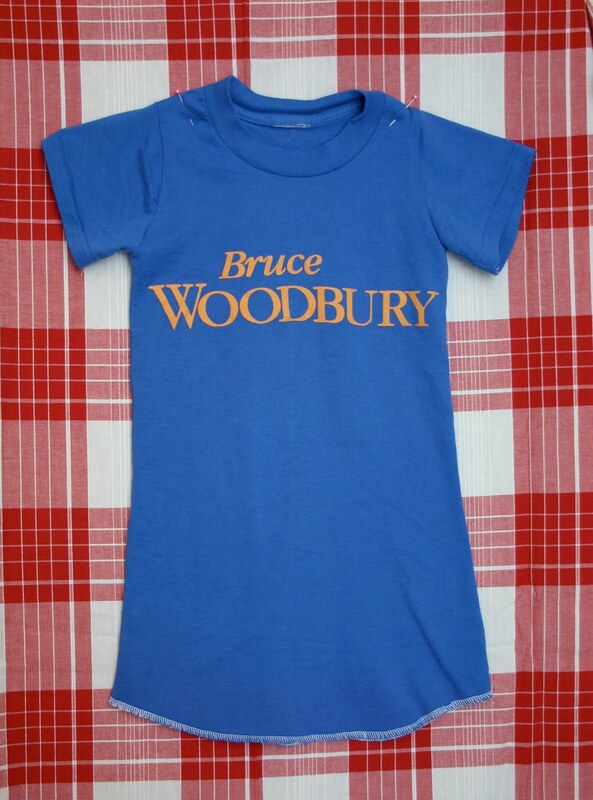 My baby girl has three big brothers...I'm thinking one of their old t-shirts would be the cutest nightgown ever. Thanks for the tutorial! Great tutorial!! I've been making similar playdresses for my daughter out of old t-shirts because the knit is so much softer than anything we could buy already made. I love these-what a great idea!! Thanks! I did it -- made a few for my daughter. Awesome! My daughter is badly in need of summer pajamas. I was going to make some from sheets, but I think I'll throw a few of these into the rotation too! Thanks for the great tutorial! Darling! 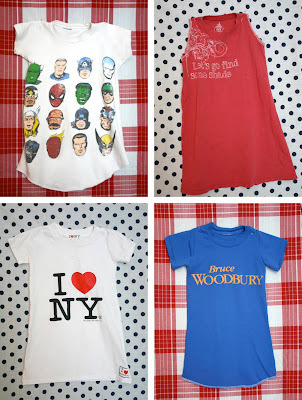 I love taking old tees and turning them into clothes for the kiddoes! I know this post is old, but I found it and loved it! It was super easy to follow, thanks! 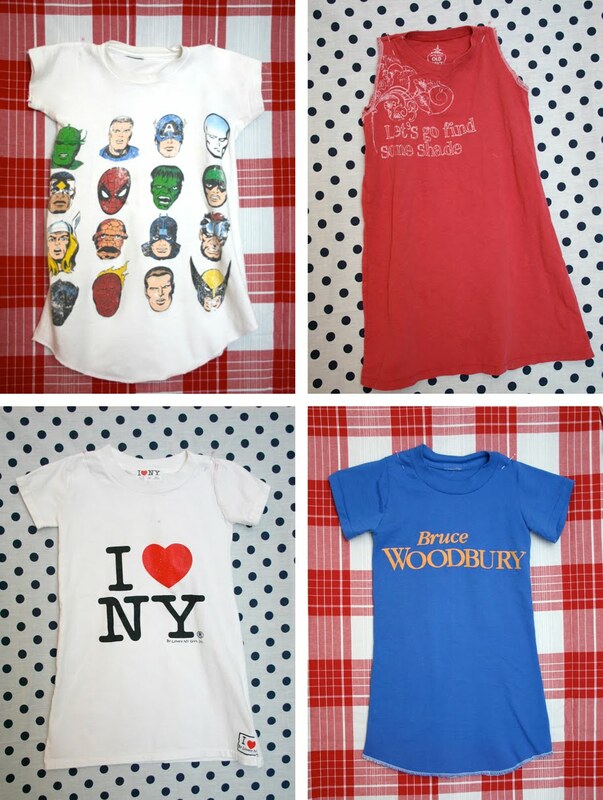 The superhero nightgown is so cute it will fit a little girl. A t-shirt can be recycled in many things, options are limitless. In the past I have made bermudas out of them, made tote bags, many things can be done. Thanks for sharing those awesome ideas. 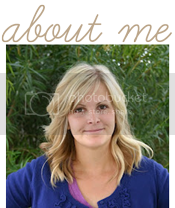 Love your tutorial, pinned it at http://pinterest.com/pin/224124518926112534/ hoping you are alright with that! 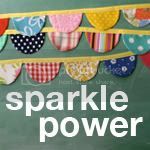 I just found your site while searching for a pattern to make my granddaughter a nightie. Thank you for your great tutorial. I love that idea and I have just the T-shirt in mind! 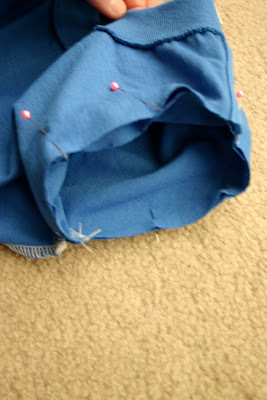 For me, I found it easier to sew on the sleeves BEFORE sewing up ANY of the seams. This way I could sew it while the sleeve is still flat. Then once the sleeves are attached, just put wrong sides together and sew up the side seam and sleeve seam all in one motion. كهربائي بجده يقدم خدمات متنوعة بأعلى جودة و أسعاره في متناول الجميع على الرغم من أجود الخامات من خلال التواصل مع كهربائي بجده نوفر لك الوقت و المجهود من خلال أفضل المهندسين المتخصصين و الفنيين المدربين ولديهم الخبرة للتعامل مع أي أمر طارئ و في أسرع وقت و من هنا ننصحك عميلنا العزيز في حال تعرضت لأي خسائر بأعمال الكهرباء أو حدث أمر غير اعتيادي عليك و فصل الكهرباء سريعاً و التواصل مع كهربائي بجده لنصل لك في أسرع وقت وفي نفس وقت التواصل معنا و يقدم لك خدمه عملاء متميزة لتسهيل عملية التواصل مع العميل و الرد على جميع الاستفسارات و الإجراءات اللازمة. Flickr Group $25 Shop Credit Winner!